Directed by Brad Bird. With Craig T. Nelson, Holly Hunter, Sarah Vowell, Huck Milner. 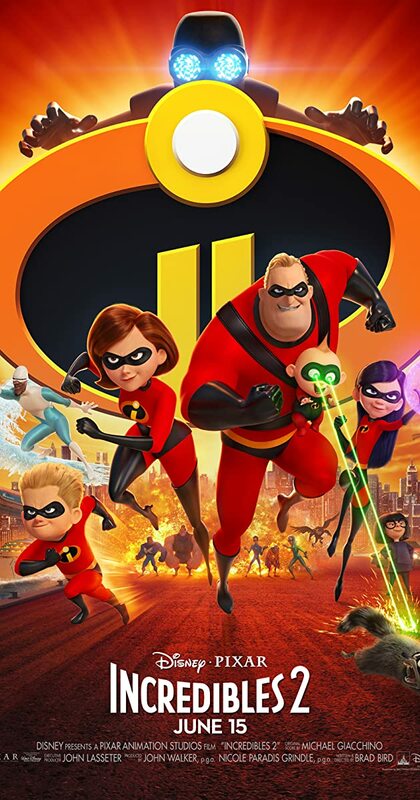 The Incredibles hero family takes on a new mission, which involves a change in family roles: Bob Parr (Mr Incredible) must manage the house while his wife Helen (Elastigirl) goes out to save the world.